You work hard, you try to save, try keeping up with expenses and provide for your family. But sometimes things outside your control can derail your financial life. Maybe you were diagnosed with a serious illness and are left staring at a pile of medical expenses. Or perhaps you recently purchased a new vehicle, only to have it break down time and again, costing you hundreds or thousands of dollars. We understand that when faced with legal challenges, you undoubtedly have questions. That is why we take the time to get to know you personally, your specific issues and the goals you have for the future. With a clear, comprehensive understanding of your case, we can provide you with the advice and the resources you need. As experienced litigators, we know firsthand what it takes to build a strong case, assess all options and outcomes and pursue the best possible outcome — whether that means taking your case to the negotiations table or into the courtroom. 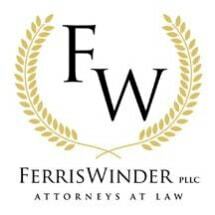 At Ferris Winder, PLLC, we are experienced in practice areas few other firms handle, such as lemon law. If you have questions, we encourage you to reach out to us, schedule a consultation and learn how we can help. Give us a call at our Richmond law office and speak directly with an experienced, local lawyer.